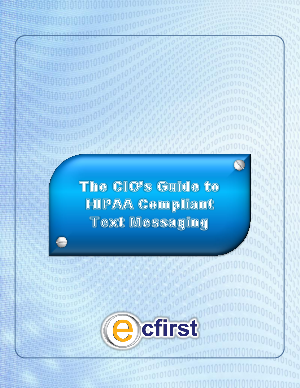 The risks associated with sending Electronic Protected Health Information (ePHI) via unencrypted text messaging are significant, especially given the climate of rising enforcement of compliance with The Health Insurance Portability and Accountability Act (HIPAA) and The Health Information Technology for Economic and Clinical Health (HITECH) Act. However, there is high demand amongst healthcare providers to use text messaging as a fast, convenient way to communicate and collaborate with colleagues. This whitepaper focuses on a secure text messaging solution that satisfies healthcare providers’ needs for more efficient communication while also meeting compliance requirements.